WUGA FM received statewide recognition at the annual Georgia Association of Broadcasters Awards held Saturday evening in Savannah. Merit Award Best Sports Feature: Just an Old Scoreboard (Chris Shupe, Garrett Michael-Cox Institute Intern and Jed May intern, both with Grady College of Journalism and Mass Communication, University of Georgia. 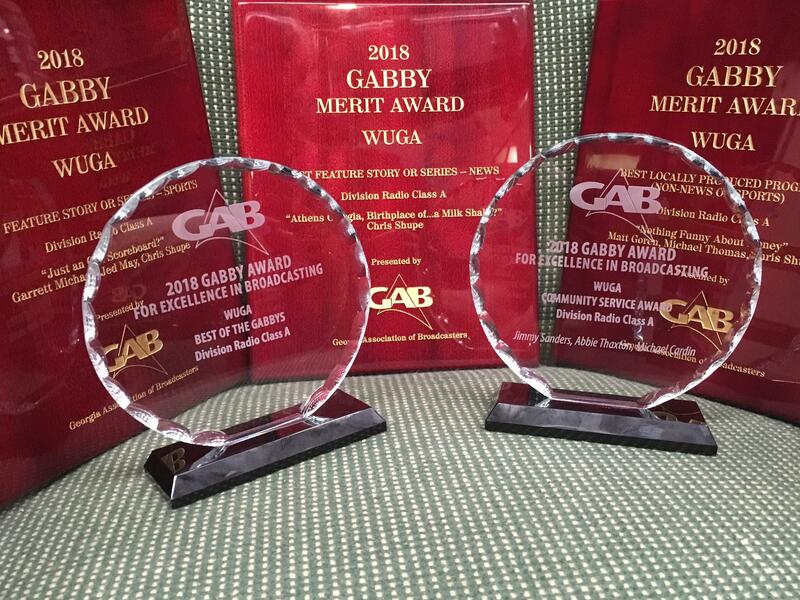 Best of Gabby for most awards received by a station Class A (Large Market). WUGA competes in the Large Market category with stations in Atlanta and other larger cities in Georgia. The following content received a Merit Award at the 2018 Gabby Awards, for Best Sports Feature Story. Athens is the birthplace of....a Milk Shake? The following content received a Merit Award at the 2018 GABBY Awards, for Best Feature Story. So in honor of National Fast Food Day, I decided to venture out and indulge in one of my favorite guilty pleasures, an old fashioned milk shake. In doing so, I discovered a local connection to one of my favorite milk shake options! Nothing Funny About Money received a Merit Award for the Best Locally Produced Program at the 2018 Gabby Awards.